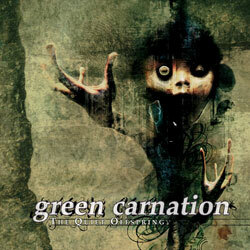 The Quiet Offspring is the fourth full-length studio album by the Norwegian progressive metal band Green Carnation. It was released on February 22, 2005. In this recording, the band breaks away from their previous offerings. Although critically acclaimed and well accepted by fans, The Quiet Offspring has a more traditional rock sound and leaves behind much of the progressiveness and atmospheric feels of the band’s previous albums, Light of Day, Day of Darkness and A Blessing in Disguise. Some listeners have criticized this transition, while others claim it would have been inconceivable to repeat the feat of the sixty-minute album.